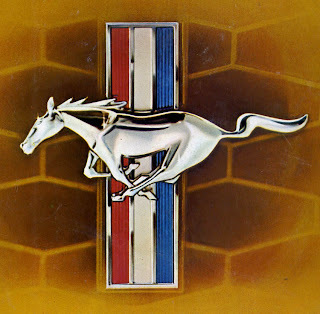 Captured in chrome, the Mustang expressed the freedom owning a Ford muscle car was intended to bring. 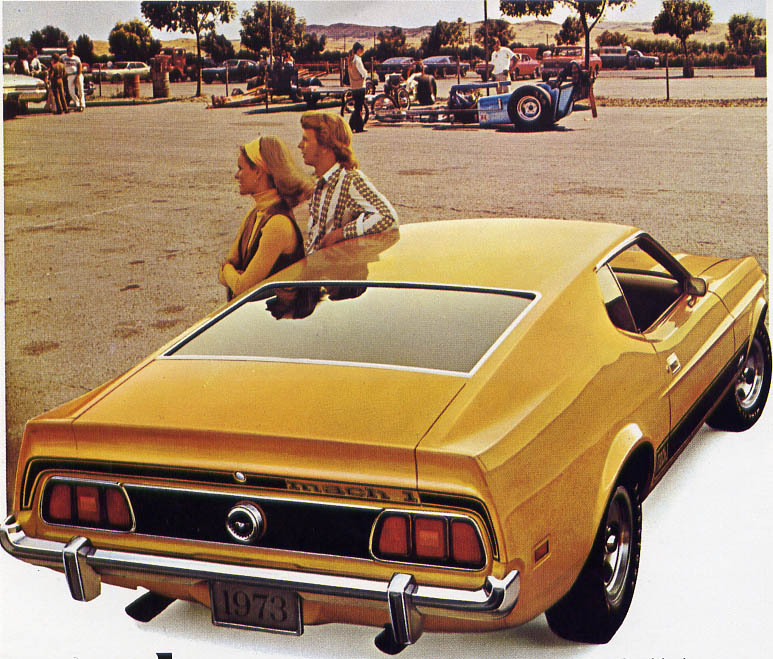 Mustang had morphed from a trim, lithe pony car into a beefy muscle machine for the 1971 selling season. The resulting look made the adrenaline of any red-blooded Canadian surge to dizzying heights. Sales climbed from 5,140 units delivered throughout Canada in 1970 to nearly double that figure as deals were inked for 9,604 fast Fords in the 1971 calendar year. Things got even more exciting as 10,292 units were sold in 1972. With a new body style unveiled only two years ago, there was little to do but sell these hot babies and reap the sweet rewards. Models stood pat for 1973. Just like last year, the consumer could chose among five sweet ‘Stangs. 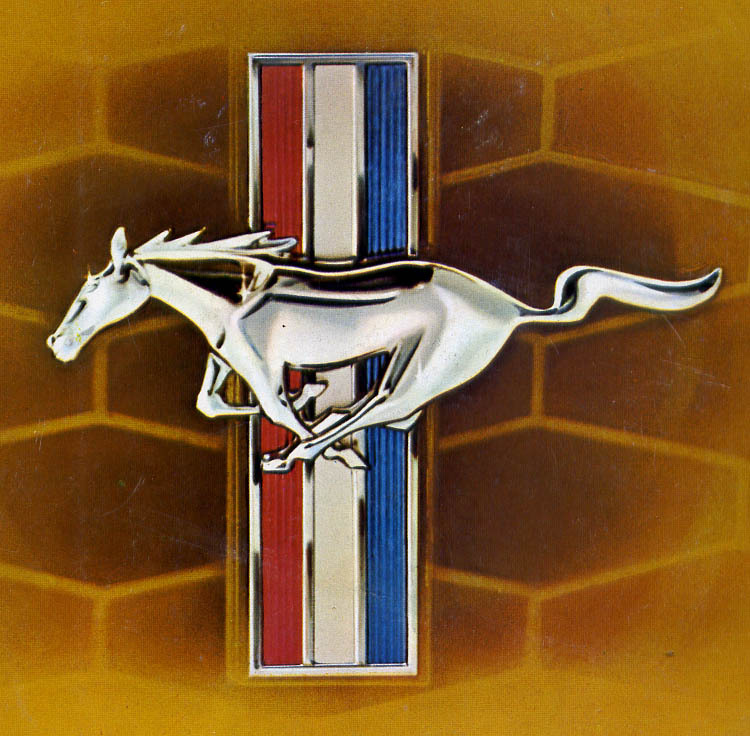 The Hardtop, SportsRoof, Convertible, Grande and the Mach 1 were each individual Mustangs in their own right. No two were meant to be alike. “You’ll see how easy it is to design more luxury, convenience, performance and styling into your Mustang to make it an even greater driving experience. 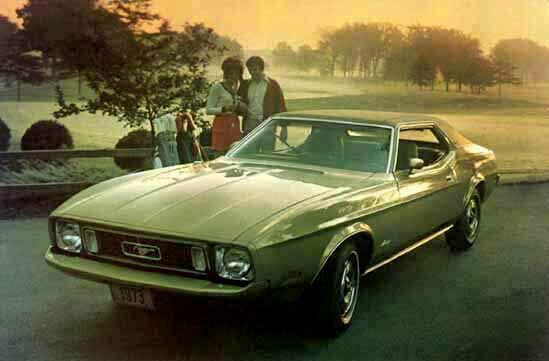 Mustang 1973: still designed to be designed by you.” This season the sales slogan billed Mustang as “The Beautiful Experience." Advertising waxed eloquent for the quintet of Mustangs. The 1973 Ford Mustang convertible weighed in at 3,202 pounds and listed for $3,686 f.o.b. Oakville. The 1973 Ford Mustang Mach 1 came with the 302 V-8 as standard equipment. At $3,250, it was the most expensive Mustang in Ford’s stable. The Mach 1 was “smoothly rambunctious with marvelous road and ride manners.” The fast Ford boasted special black tape and paint treatment. “The standard NASA-styled hood scoops and colour-keyed dual racing mirrors add sports car flavour for people who love sporty cars.” It came with a Sports Interior option that included a woodtone centre Instrumentation Group made up of a tachometer, a trip odometer, oil pressure, water temperature and an ammeter housed in a special triple pod. The Grande was Ford's most formal Mustang filly in 1973. Standard power under the hood was the same as last year. The modest 250-cubic inch, 1-barrel carb mill moved the Mustang. 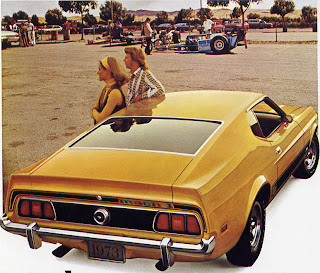 Once again, the Mach 1 was the lone exception to that rule; the Mighty Mach I started life with the 302 V-8 at no extra cost. The 302 was optional in lesser ‘Stangs and there was a 351 option with 2- or 4-barrel carb setup were also available. In accordance with Ministry of Transport rules, all engines now operated on regular octane gasoline. The horse could be saddled and ridden in any of 26 colours this year. For an even brighter sheen and more glamour than Pamela Anderson, Ivy Glow Metallic, Metallic Blue Glow and Metallic Gold Glow were the hottest colours in the palette--all three were available at extra cost--and strongly emphasized by sales personnel as being the way to go. 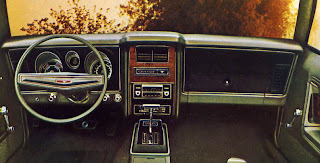 Racy and sleek, the instrument panel of the 1973 Ford Mustang gave an empowering experience to drivers. There were nearly as many optional accessories for Mustang as there are potholes on the Number One Highway in March. For extra money one could have a centre console, SelectShift Cruise-O-Matic Transmission or a four-speed manual transmission with a Hurst Shifter. 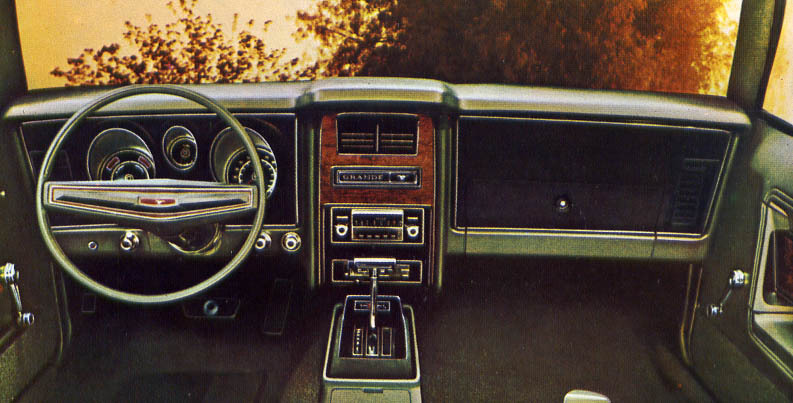 The centre console contained an integral electric clock. There was a Convenience Group that included a headlamp reminder buzzer, glove box lock, an automatic seat back release, courtesy lights and a parking brake reminder light. There were lights for the trunk, glove box and under the hood as well as a map light. One could order the SelectAire Conditioner, power steering and the five-way adjustable Tilt Steering Wheel. AM Radio, AM/FM Stereo with or without the StereoSonic Tape System. power front disc brakes, power windows, vinyl tops, rear window defroster, body striping, several décor groups, numerous tire and wheel cover options including Magnum 500 chrome wheels. Oakville’s muscle car was alive and well. When the figures were tallied up at year’s end, the Mustang broke records as it racked up 11,175 sales across the country. If the boys in marketing had contacted a psychic they would have been ecstatic to know that sales for Mustang would increase by nearly a third in 1974 but that is a story for another day. Copyright James C. Mays 2007. Thanks for the lovely updates here,there is so much history to follow and understand and very interestingly so for the car lovers.